Do you want to know how to get to the everland (yongin)? 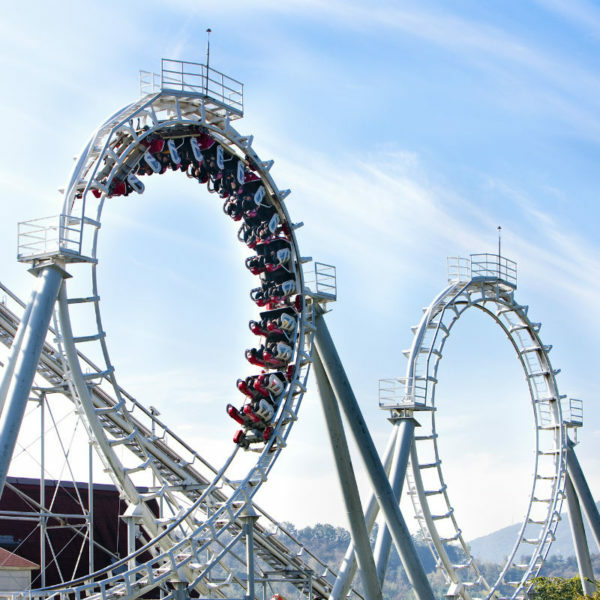 There are many ways you can get to everland (yongin) such as public transportation (bus, subway / metro), taxi and Blacklink limo/transfer/shuttle service. Don't sweat outside waiting for other transportation with your luggage. Make a round trip reservation with Blacklink as you plan for your trip. It is easy, convenient and available 24/7. Then, the assigned Blacklink driver will greet you at the arrival and will drive you to the everland (yongin). You can use Blacklink for not only hotel but also Gimpo Airport (GMP), Myeongdong, Jongno-gu, guesthouse, resort, airbnb, lodging and anywhere you want to go in Korea. Check out Blacklink customer review posted below. 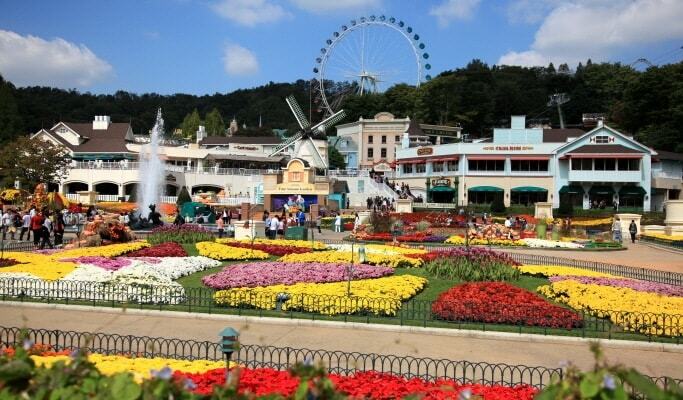 Everland is divided into five zones: Global Fair, Zoo-Topia, European Adventure, Magic Land and American Adventure. Global Fair Global Fair is primarily a place for food, souvenirs and pictures as visitors make their way into and out of the park. There are many shops, and restaurants as well as services such as stroller rental and lockers. ZooTopia ZooTopia is an animal-themed portion. There is a petting zoo, pony rides, and animal shows. There is a small zoo with polar bears, sea lions, penguins, bears, tigers and primates. A safari bus ride is available which shows animals such as ligers and bears roaming in a contained habitat. The visitors stay in the bus. Amazon Express is a raft ride, where most visitors get splashed. The petting zoo provides animals such as goats and sheep to pet. Kosik, one of Zoo-Topia's elephants, made headlines when he demonstrated an ability to imitate Korean words. European Adventure European Adventure has many restaurants in European styles. The architecture imitates European styles. There is a flower garden encircled by a train, games and arcades. A favorite attraction here is the Mystery Mansion where visitors can shoot at the ghosts. In March 2008, a ride named "T Express" was added. 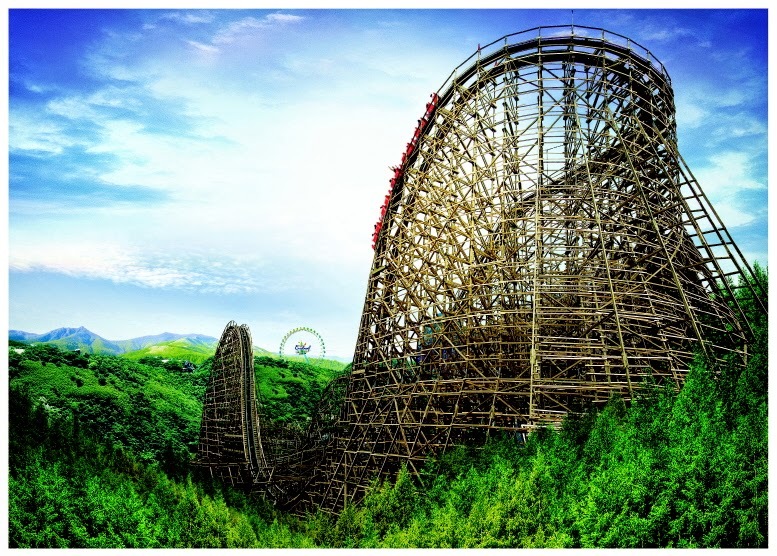 It is the first roller-coaster in Korea to be constructed out of wood. Magic Land Magic land is an elaborate array of buildings and rides. There is a portion called Aesop's Village where the characters and themes are primarily drawn from the fables of Aesop. The Ferris wheel provided a spectacular view of the whole park until it closed in 2011 to allow for more rides. There is a log flume, a futuristic flying ride, and a robot ride. With the rides, there are many restaurants and stands. American Adventure Themes from American history are presented in this portion of the park. There is one Wild West ride, the rodeo. "Eagle fortress" was closed down. In Rock Ville the theme is the 1950s and its music. The Double Rock Spin is a main attraction as live bands play near the Rolling X-Train, a roller coaster in the park.